Amazon Web Services (AWS) is a division of Amazon best known for serving up a massive online marketplace for just about everything. In a Forbes article, Jason Bloomberg noted that “AWS is reinventing what it means to be a software vendor for all the markets it serves, including consumer, developer, SMB, and enterprise.” If you’re looking for a powerful cloud service provider, you’ll find that AWS is one of the most innovative and expansive options available with a growing suite of web tools that go above and beyond the standard offerings. At its core, AWS is a cloud computing service that gives business owners the computing power they need with remote storage and maintenance. AWS delivers powerful functionality that’s designed for flexibility and scalability. This service offers all the benefits of any cloud storage provider along with a host of other perks. AWS offers a serverless reference architecture for everything from the Internet of Things to web apps to image recognition. AWS has also announced services that will expand into artificial intelligence, databases, and more. Amazon supplies a comprehensive suite of digital training services to help users understand all the features of AWS. You can enroll in free courses, develop new technical skills, and validate what you’ve learned for AWS certification. This is an outstanding offering as the full functionality of AWS is far too expansive for a new user to grasp without seriously studying some of the innovative new technologies that have rolled out with this service. Cloud security has long been a major concern for business owners as they transition to this business approach. 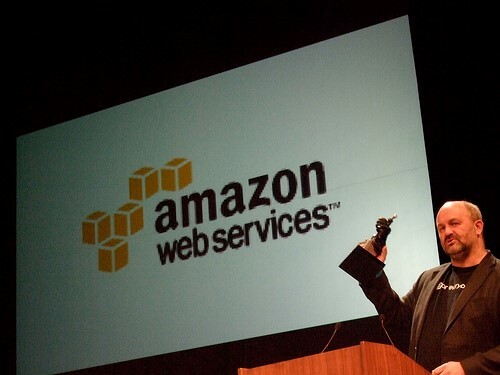 AWS secures its data centers with network firewalls and uses in-transit transcription across all services. Using the service’s provided tools, users can trace the who, what, and where of calls for maximum visibility. Businesses can also incorporate their own security layers and mobile threat defence within AWS for additional protection on top of what’s already available. AWS Lambda is a computing service that enhances the capabilities of AWS, allowing you to run code without provisioning your own server space for the activity. AWS Lambda responds to user requests and provides the necessary capacity and infrastructure to run your code on a per-use basis. This means that you don’t have to supply an abundance of servers for prospective users who may not begin using your code immediately. AWS Lambda scales seamlessly, so you’re prepared for anything from a slow start to a sudden rush of activity. You pay only for the compute time that you consume and pay nothing when your code isn’t running. This functionality is a key example of how Amazon’s web services are structured to streamline your business activities in the most efficient way possible. Whether you’re looking for convenient cloud storage or access to a serverless application repository, you can find the features and functionality that you’re looking for with AWS. Designed to serve as a catch-all for all your cloud needs, this solution is meeting its goal admirably.